FirstLook credit unions reported a significantly higher than average annual member growth of 3.25% as of September 2009. 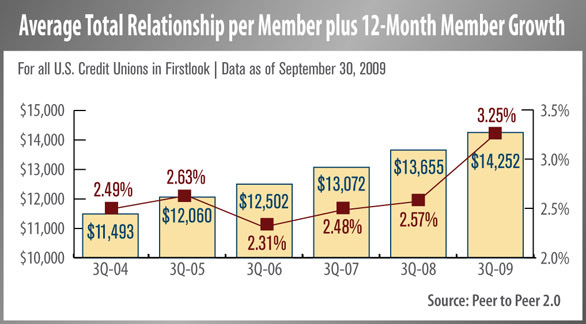 Average total Relationship per Member also climbed to $14,252, or 4.37% higher than the same period last year. At the time of publication, 7,631 credit unions were included in the FirstLook group comprising $874 billion in industry assets.